It is with sadness and sorrow that we say goodbye for now to a great husband, father, grandfather and great-grandfather. 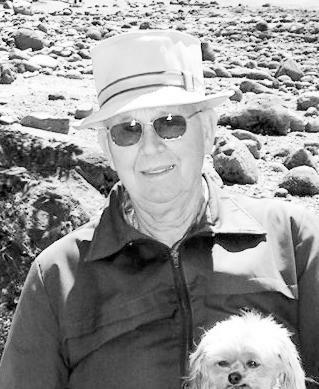 After a courageous battle with cancer, Ken passed away peacefully at the Powell River Hospital. He leaves to mourn, his wife of 60 years, Nellie Braden; daughter Sandra (Don); son Marty (Val); five grandchildren Kirsten, Megan, Josh, Brandi and Pypre; five great grandchildren, Matt, Sasha, Maryna, Zev and Nyah. Ken was born at home near Braden’s Crossing, Alberta and never strayed far from that area for most of his life as that is where he farmed for many years while making his home with Nellie in Rolla, B.C. After retiring from farming, Ken was never one to remain idle so decided to work for Finning Tractor for the next few years. In 2007, Ken and Nellie moved to Powell River to be nearer to their children and grandchildren. Although Ken enjoyed the new experience of living near the ocean and his family, his roots remained in the Peace River country. It is impossible to sum up the life of someone like you, Dad, because you were such a big part of all our lives. So I can only say this: Dad, as a father and grandfather you led as an example of patience, love, hard work, personal sacrifice, kindness, honesty and strength. We will miss you always, your spirt will live on in all of us; know that you are loved and have lived with excellence. Cremation has taken place and burial will be at a later time in the Rolla Cemetery. Donations may be made to the Canadian Cancer Society in Ken’s memory.